Every week we ask our followers to recommend the books they absolutely loved! 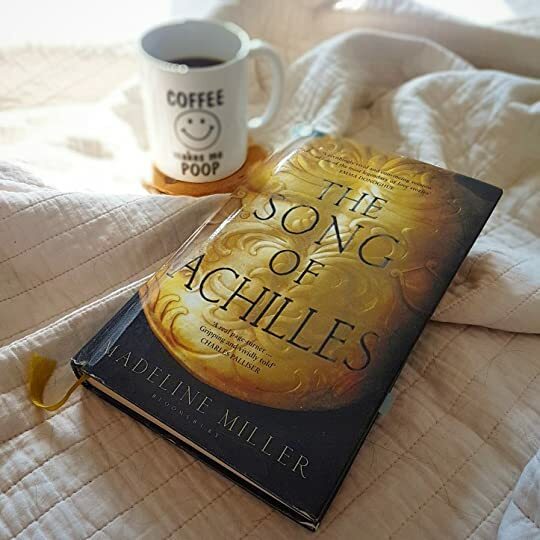 Posts like that are usually very popular, which is beautiful to see since it shows how bookworms among our audience can’t wait to share their experience with a particular book title(s) that entertained and touched them. These titles were among the favourites in this week’s poll. Let’s start! Outlander was the first in a super popular series of novels written by Gabaldon. A mix of several genres, the Outlander series features elements of historical fiction, romance, adventure and science fiction/fantasy. Published in 1991, it focuses on 20th century nurse Claire Randall, who time travels to 18th century Scotland and finds adventure and romance with the dashing James Fraser. The Iron Fey is a book series written by Julie Kagawa. This series follows Meghan Chase, a girl who finds herself drawn into the world of the Fey, including characters from William Shakespeare’s A Midsummer’s Night Dream. The books series was published by Harlequin Teen 2010-2012, including several short stories tying into the main four books in the series. There is a spin-off series, The Iron Fey: Call of the Forgotten Trilogy. When Angel sets fire to her childhood home, it isn’t the endit’s the beginning. Left with nothing but a few memories in her pocket, Angel escapes into the fields of tobacco, the only place she has ever felt safe. Hidden by those green-gold leaves, she sets her eyes on the mountains and believes someone waits for her there. Angel will do whatever she has to until she finds her. She longs to empty her pockets, hand over the answers to what became of her, and whisper, This is my story. Joe Ledger is the name of an ongoing series of bio-terrorism thriller books written by Jonathan Maberry, beginning with the 2009 Patient Zero. The series also includes several short stories, audio originals and novellas. The first three books in the series were optioned for a potential television series on ABC and a pilot was written by Javier Grillo-Marxuach. It was not picked up for a full series.